Geometric Dress Shirt by Red Bridge. This geometric dress shirt will keep you looking sharp from the office to the bar. Front features black and white geometric squares in a gradient pattern. Includes standard collar, front button closure, and two button closures at the cuffs. 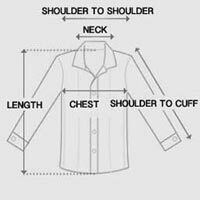 Long sleeve geometric dress shirt designed with a tailored fit for a versatile day to night look. Made in premium cotton with slight stretch for a comfortable summertime dress shirt. Wear something outside the lines in this designer geometric dress shirt.